US Coffee is proud to introduce the availability of two cutting-edge cold beverage systems for your office, the Bevi water dispenser and the single serve cold beverage dispenser Lavit. Each cold beverage system offers a refreshing option for your office, featuring sustainable hydration selections for all employees. Bevi’s water dispenser provides unlimited plain, sparkling or flavored water all day in the office and makes a great addition because of its customization, restocking, health & hydration and sustainability benefits. Bevi lets employees customize their choice of cold drinks with a variety of creative and delicious flavorings. You can even brand your Bevi machine with your company logo. Our service team can automatically restock your office’s Bevi water dispenser when it’s running low because of its connection to the Internet. 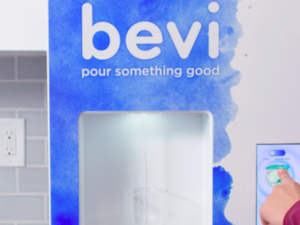 Bevi has a wellness approach when it comes to their machines, focusing on zero calorie, low calorie & sweetened flavors, or just filtered water. Bevi never uses high fructose corn syrup. 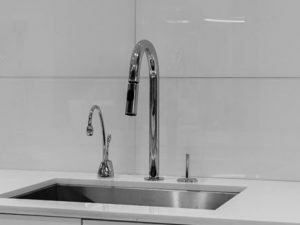 Most offices prefer to maintain a green environment and Bevi makes that goal easy by eliminating waste from the production, transportation, and disposal of water bottles. Bevi machines save 924,808 bottles a day from landfill. US Coffee now carries the first ever single serve cold beverage dispenser, which everyone in your office is sure to love. Enjoy a still or sparkling beverage in recyclable capsules, which the company spent the last five years designing and engineering, made with zero preservatives and 10 calories or less. There are even 33 flavors to choose from, including Raspberry Lemonade, Black Cherry Lime, Lemon Tea and Lemon Lime. Despite saving time, money and space, Lavit is a socially responsible choice for your office because for every capsule consumed, Lavit contributes 1 cent to its water charity partners to promote clean drinking water for those in need. To inquire about getting a cold beverage brewing system like Bevi or Lavit for your office, contact us today!